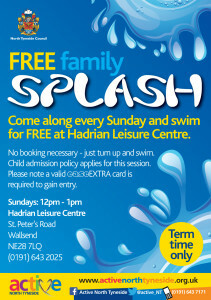 Bring your family along to our free weekly splash session. Whether you just want to swim around the pool with your family or challenge yourselves to take on the themed inflatable island, we have lots of fun waiting for you. 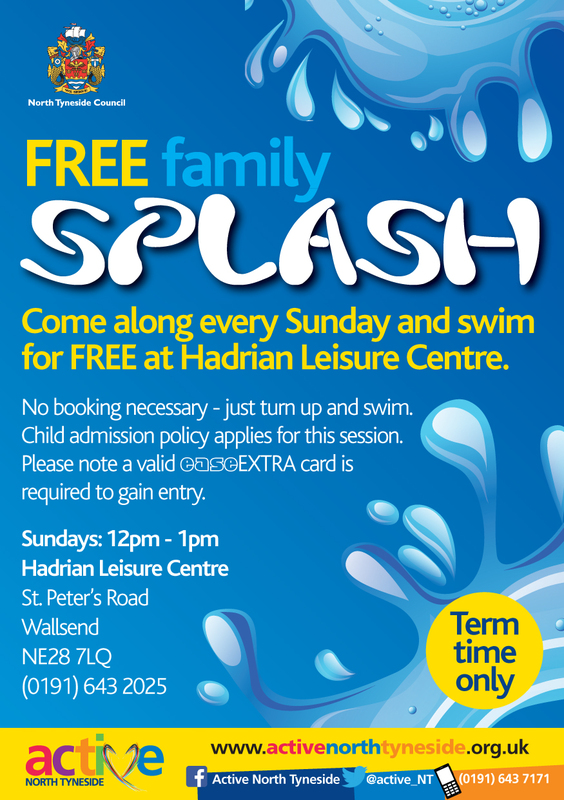 Sessions are held every Sunday 12.00 until 1.00pm (term time only) at Hadrian Leisure Centre, Wallsend. Just turn up, no booking necessary! 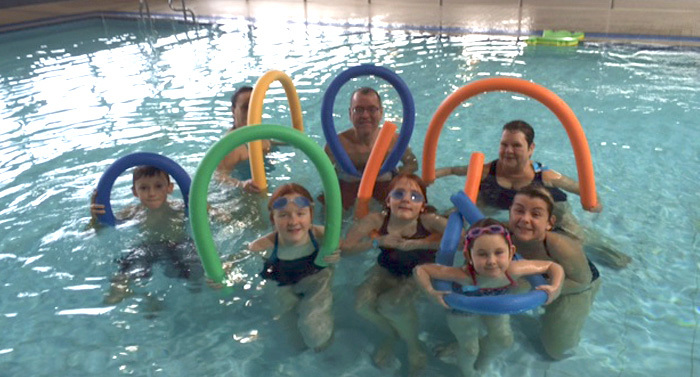 Please note pool admission policy applies for this session. As with all Active North Tyneside activities a valid resident easeEXTRA card is required.